Good food photography is one of the best ways to support a restaurant or manufacturer's promotional efforts. After all, stunning visuals of food are what makes someone hungry and willing to spend money on food. As an experienced food photographer serving clients throughout Southern California and the United States, I have been fortunate to work with many restaurants, manufacturers and cookbook authors to showcase their food, product and recipes in the best possible way. 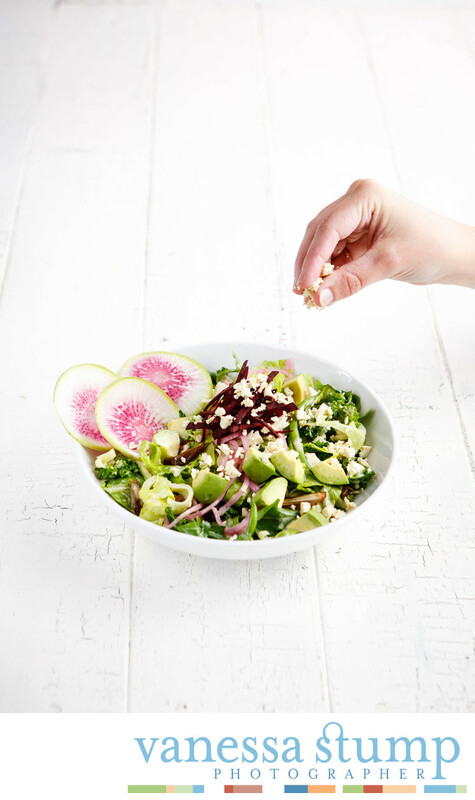 This image of a Veggie Grill salad was used on posters, menu boards, actual menus, social media and the company's web site.